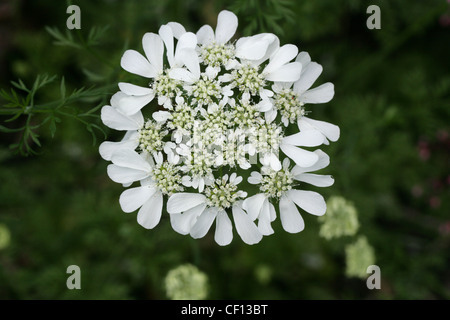 Coriander Flower, Coriandrum sativum, Apiaceae. Also called Cilantro, or Dhania. Europe and North Africa to southwestern Asia.